She was criticised by Asia's top tower runner Soh Wai Ching. According to Free Malaysia Today (FMT), Dr. Suwaibah Muhammad Nasir claimed that she needed USD1 million (RM4 million) to support her in the Humanitarian Tour to Conquer 30 World's Tallest Towers. Dr. Suwaibah Muhammad Nasir receiving support from defence minister Mohamad Sabu at an event on 7 February. "Why support her? Is it because she had been in the army?" he asked, according to the report. "Why not support athletes who represent the country like me?" Soh said that he only needed a fraction of that amount - RM80,000 - to participate in tower running competitions this year. Asia's top tower runner Soh Wai Ching. In response, Suwaibah told FMT that the money is not for her but will be used to fund refugee camps and welfare in countries she will be visiting. Bernama quoted Suwaibah as saying that she received sponsorship to cover the costs of her accommodation and flight tickets. Soh Wai Ching running up a tower during a competition abroad. "[She] was able to get the defence minister's support. That is not fair," said Soh, adding that he had won several competitions himself. Soh revealed that he has yet to receive recognition as a national athlete, as promised by the Ministry of Youth and Sports. 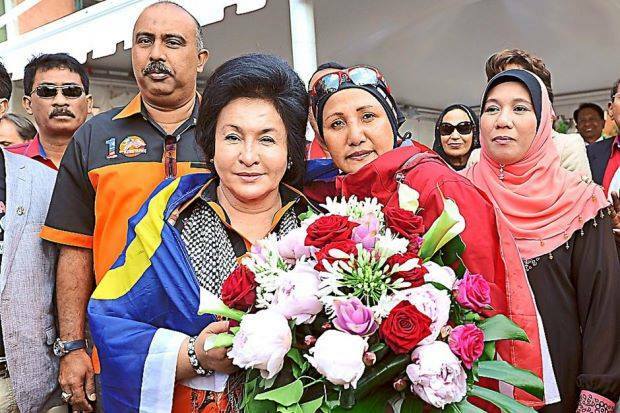 In defense, Suwaibah said that she received the defence minister's support because of her role as an "icon" for air force sports development, of which Mohamad Sabu is a patron. Datin Rosmah Mansor (left) standing with Suwaibah Muhamad Nasir (right) at Riva Sette De Marite in Venice, Italy in 2014. Police have remanded the man who was believed to be the last person seen with her. The alleged incident happened at a shopping outlet in Batu Kawan.